Can I insert text or images before the book information? Find the "UBB Book Information" box and scroll down towards the bottom. Locate the checkbox option called "Don't Display Book Info" and check it on. This will prevent the book information from being automatically displayed for only this post. Scroll back up to the top and create your blog post as normal. Type in the shortcode [book-info] wherever you want the book information to appear. 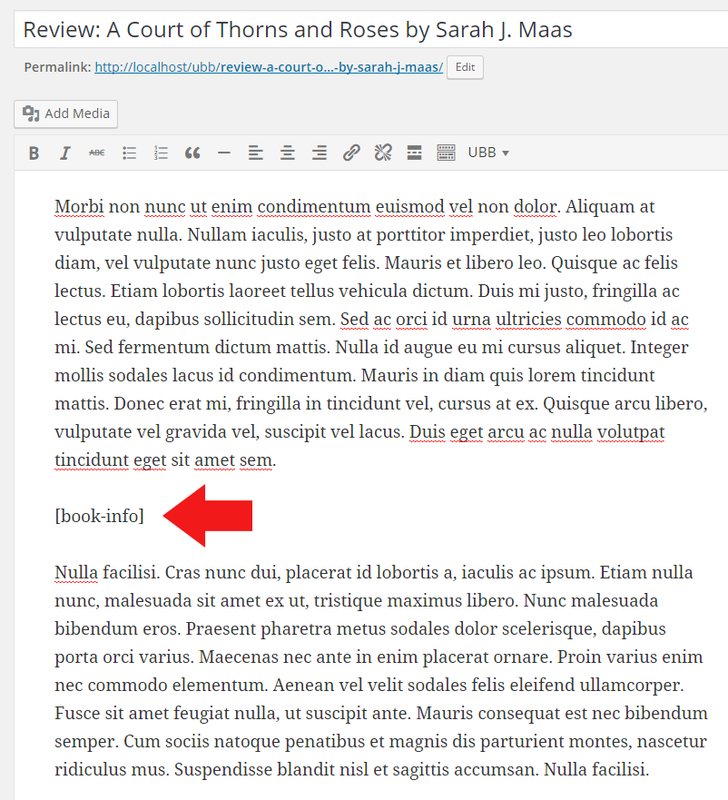 Now instead of the book information being automatically added to your post, it will only appear exactly where you type that shortcode.